Hee hee what a fun card! I've made lots of these with my group and the support workers get more fun out of them than anyone! Brilliant image Marina! Super cute, Marina! I hope I'll receive this so I can admire the design and try how the Santa spins! Love this! 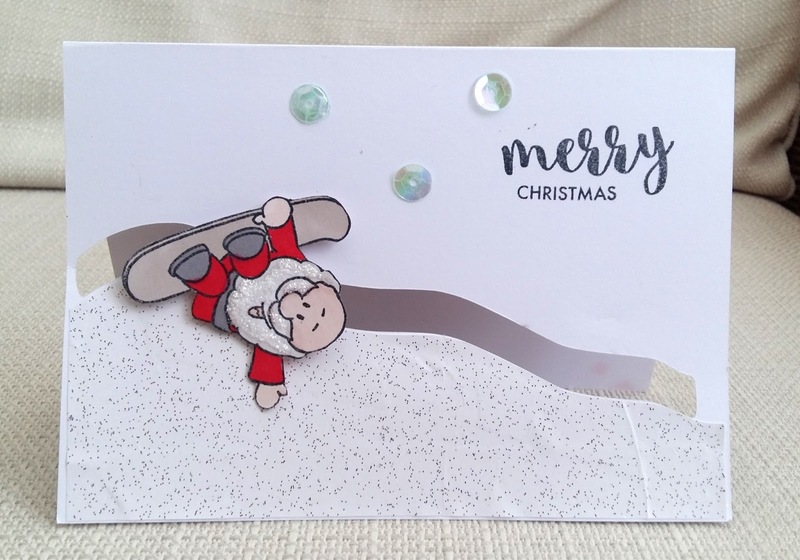 Adorable card, Thank you for joining us for Merry Monday. This is super fun! What a unique card idea. Thank you so much for sharing with us at Use Your Stuff this week. OMG . . . I'm in love with this card. FABULOUS. So darn cute. I love the image and such a great aspect of being a movement card! 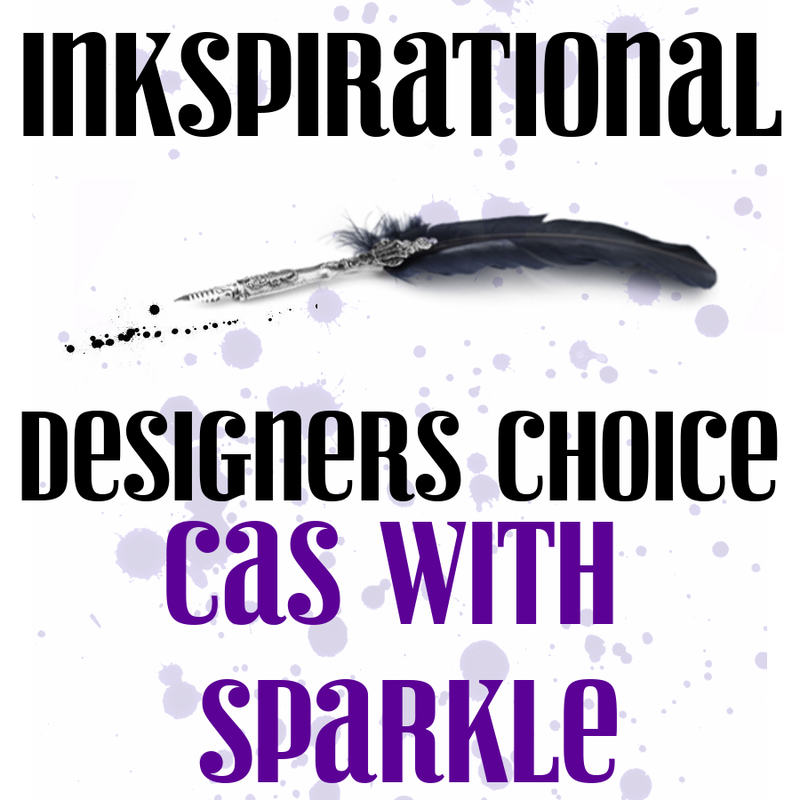 The speckled paper and the stickles are great dimension aspects! Great job! This is just too cute. 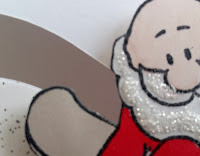 Adorable Santa. Thanks for joining us this week at Merry Monday. Love your fun card! 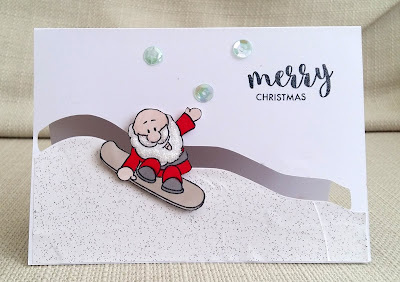 Seeing Santa snowboarding on the penny slider card made my day! 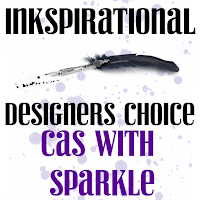 You are one of the winners this week at Use Your Stuff Challenge blog. Congrats! Grab our button for being featured on our blog challenge. 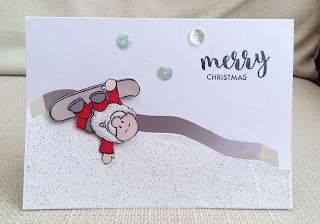 Okay, your snow-boarding Santa has planted a smile all over my face! The interactive design is genius and oh, how I adore that sparkly snow! Too. much. fun! I've never made one of these. I can't imagine a better choice of image for such a slider design. Cool!